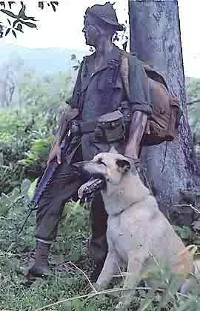 Lance Corporal Ralph H. McWilliams and his scout dog Major, Vietnam, November 1967 courtesy of the US National Archives. Fierce dogs, some outfitted with armor or even other weapons (like fire to startle the horses of an opposing calvary or even long vicious blades mounted on their collars) were pressed into service during battles in ancient times under rulers and generals like Caesar, Attila the Hun and Genghis Khan. Even then, these War Dogs would have been serving a multitude of functions from battlefield soldier to sentry to the highly dangerous role of courier between front lines and HQ during battles. While the service of dogs has been recognized and valued since at least 4000BC in the effort of war and protecting the homelands, the US was very late in recognizing the potential. Perhaps they saw dogs as part of an ancient system of war, ill-suited for modern advances that included missiles, grenades and other long range options. However, in 1942 with what was likely a realistic expectation of what World War II would offer (so shortly on the heels of the horrors of WWI) the US military initiated a military dog program. American citizens were asked to donate their beloved pets of suitable breeds as wide ranging as Dalmatians, Boxers, German Shepherds, Dobermans and others. Later the focus would become more limited on the Belgian Herding breeds (Malinois, Terverun and Groenendael primarily), the German Shepherd, Doberman and similar breeds. Initial applications of dogs for military goals met with some resistence from those who felt that dogs could not make a contribution in modern style campaigns. Those in support of a Canine Military program were tasked with proving their point. This resulted with not only a cooperatively developed training program with private civilian trainers but also a clear assessment of the capabilities and skills that dogs could potentially deliver to the military machine. As a result, while early war dogs were trained much like those of ancient times to be jacks of all trades with sentry, courier and fighting duties more modern efforts have indicated a higher level of precision when dogs are trained as specialists. This recognition has been invaluable as dogs have been pressed into duty for even more modern applications like sniffing for contraband at airports, Search and Rescue (which is divided into wilderness, urban, live search and cadaver search among other specialties). The evolution of these aptitudes and a trainer's ability to tap into them has further resulted in scientific interest. For example, it is now acknowledged in the most credible of circles scientifically that man lacks the ability to measure a dog's sense of smell. Even with measuring instruments that we consider 'highly sensitive' like gas and liquid chromatographs we cannot detect molecules of scent in the same minute capacity that the average dog can. This ability alone is enough to erode any sense of arrogance or superiority that society should feel over dogs. Several valuable tenets of training were recognized and instituted in military dog training. Such as assessing the dog's suitability for a particular job. The military had the advantage of screening many adults seeking those that were already well socialized and adjusted. 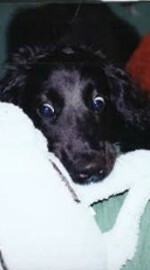 They removed dogs from the program that lacked the required stability, sensitivity and confidence. Even dogs that were overly reactive to loud noises were rejected for obvious reasons. 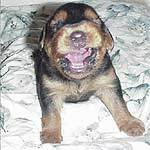 By contrast today, many people choose a puppy with a specific endeavor in mind, if this pup should lack a necessary characteristic they are often still pressed into the training usually with disappointing if not disastrous results for the dog. A second training achievement was the acknowledgment that a trained dog was the leader in the team. During training the dog accepted guidance from the handler but once trained, a good handler followed the guidance and lead of their dog. This is something that many if not most trainers today overlook. Regardless of the ultimate path of the future military dog, all were initially sent to training camps to develop basic obedience skills. During this process final decisions were made regarding which dogs would become sentries or couriers or scouts or casualty dogs. Each of these aptitudes required very specialized training. Scouts for example had to signal silently, anything else would threaten their life and those around them. Casualty dogs moved through battlefields with the Medical Corps seeking survivors. Their work was invaluable in getting medical care to soldiers as quickly as possible. While this may not be thought of as particularly hazardous or stressful relative to other forms of duty, it was soon recognized that the dogs needed to find someone in order to avoid sinking into depressions and lethary. It was just too emotionally overwhelming for these dogs to confront nothing but death time and time again. To help with this, once the work was done, other soldiers would hide for the casualty dogs to find and be rewarded. This valuable work was the pioneer to Search and Rescue which has been successfully utilized in disasters as wide ranging as a local lost child or adult to earthquakes and September 11 in the US. Sentry dogs were more than simply 'attack trained'. They were also given the ability to communicate when something wasn't right. Their heightened sense of smell and hearing made it extremely difficult for spies or saboteurs to evade them. Time and time again, sentry dogs proved themselves not only on the front but in the hands of Coast Guard handlers as they caught those with intent to cause damage, panic and loss of life either at ports or by using ports to enter the US. Carefully trained, the ultimate sentry dog trusted only his or her handler. This clearly also required supreme supervision, vigilance and commitment on the part of the handler to protect the dog and those around them from the skills that had been instilled in the dog. Unfortunately, in the ultimate irony and insult to the contribution of Military Dogs, Sentry dogs were euthanized en masse after wars were ended because it was felt (whether or not it was totally accurate) that they could not be rehabilitated to civilian life and posed o great a threat if returned. It is only recently that understanding and training techniques have improved to a point where this has been discontinued. After the Vietnam conflict alone, all the military dogs were abandoned. 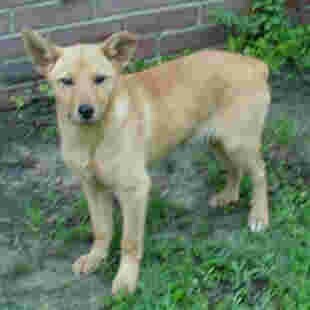 The lucky ones were euthanized. The not so lucky were turned over to the Viet Cong where they likely died from neglect or slaughtered as food. This does not include the dogs that died in active duty. You can read more about the dedicated Vietnam K9 Handlers who are actively working to establish a memorial worthy of the contributions of these dogs. In an age where society recognizes the heroism and contributions of dogs in helping and protecting us, these dogs, of an age passed, deserve our appreciation as well. Very few military dogs spent more time on the front lines than the Scout dog. Trained to alert silently and to cope with a wide range of distractions including gunfire, grenades and other battlefield occurences the dogs had to maintain focus for the purpose of alerting their handlers to the presence of enemies potentially preparing to ambush or enemy weapons like landmines. Courier dogs seemed to have served in a wide variety of tasks but ultimately their function was always to find their 'missing handler'. Couriers were trained to go from one of two handlers to the other. As the training progressed, the location of the second handler would be more difficult to discern, perhaps a mile or more away. After additional training obstacles like water, walls and battlefields lying were added to the route. Enroute the dog could transport important messages, supplies, ammunition, communication lines and other critical equipment like homing pigeons! His high aptitude in speed, agility, sense of smell and hearing would all be taxed as he or she sought safe passage to their other handler. Casualty dogs as previously mentioned, had a highly specialized level of training as well as a regularly demanding emotional drain. Their training consisted of being asked to find 'injured' soldiers that were hidden. In actuality, they were simply dressed in bloodstained clothing but finding them resulted in reward. Later battlefield conditions of gunfire and more would be added. Stubby was more than an unofficial military dog of WWI. His heroism commanded the attention of the soldiers around him and his charm lightened the dark times of the French people whose path he crossed while serving in Europe. Before his death, he was received twice at the White House, shook hands with Woodrow Wilson, had the honorary Marine rank of Sargeant and appeared at numerous parades. Even so, his story is far more than that of a celebrity and should be remembered today because, Stubby was a Pit Bull. Yes, that breed that is so maligned and feared today contributed with what is perhaps the most renowned of all early military dogs. Upon his death, his coat with all its military commendations (made by the appreciative ladies of France) was preserved with him at the Smithsonian Institution. Because of poor handling, Stubby was allowed to deteriorate but was not forgotten by all. Today he is cared for by his home, the State of Connecticut has Stubby on loan from the Smithsonian. The general lack of appreciation of the contribution by military canines is slowly changing. In November of 2000, President Bill Clinton signed into law the provision that military dogs (including sentries) could be adopted upon retirement. During the Gulf War, Fluffy an Iraqi born German Shepherd was scarred and starved when he was received by Army Sgt. 1st Class Russell Joyce. Despite a lack of formal military dog training, Fluffy learned quickly and became a valued member of the squad. However, when Sgt. Joyce returned to the US, he was forced to leave the dog for a variety of bureaucratic reasons (such as the dog was Iraqi born). After a writing campaign by Sgt. Joyce resonated with the public, the outpouring was so great that the red-tape was expedited and on June 1, 2003, Fluffy was united with Sgt. Joyce in North Carolina in June of 2003. Now he happily resides with the Joyce family and enjoys the benefits of his celebrity including being the subject of a new book! Much can still be done to address the oversights of the past and caring for the military dogs present and in the future. Vietnam Dog Handlers Association was initiated by only six former dog handlers in 1993. Now they have over 2000 members and continuously work to help their former canine compatriots get the attention they deserve. So far, their efforts have been turned down. A stamp honoring the dogs was declined (in favor of Bugs Bunny). Memorial requests at federal bases have been ignored or declined. Even a request for a tree to be planted in the memory of the Military Dogs at Arlington was declined. As this group refuses to be deterred and the public becomes more aware of this history and how the dogs were abandoned, there is little question that it is only a matter of time before this is redressed. Additionally, Bruno Packs , or care packages for our K9 teams on active duty, accepts monetary and product donations for packages that are shipped to K9 teams serving in Iraq, Afghanistan and elsewhere. Toys, chewies and other canine necessities are not standard issue by the military and who is to say that these dogs don't deserve some down time?